Wyoming takes pride in its antique buildings, as many are sites of historic significance. Wyoming weather is better than most states when it comes to mold growth compared to, say, humid Louisiana or Florida. However, mold infestations can still develop and attack your home or business in places you wouldn’t think possible. Capable of completing world-class mold removal services to Gillette property owners, our team is ready to help your establishment. We offer mold removal, mold remediation, and full mold restoration services to keep Gillette’s historical foundation intact. Master Clean is looking to expel all forms of mold from your home or business. We are a mold remediation company offering full services to the property owners of Gillette. No mold remediation job is too small or too big for the cleaning professionals we have at Master Clean. We can take care of every stage of the mold removal and remediation process to prevent further damage to your home, and we give you total peace of mind securing your home form possible sporulation in the future. We recognize your home or business is important to you, that’s why we aim to serve our clients with the highest possible standards for respect, cleaning, and care for your property while working hard to rid it of mold. Our team will carefully assess your home or business for mold in order to give you and your establishment the removal, restoration, and remediation services it needs. No job is too big or too small for the mold restoration specialists working for Master Clean. We are proudly extending services throughout Wyoming, including the Gillette area. 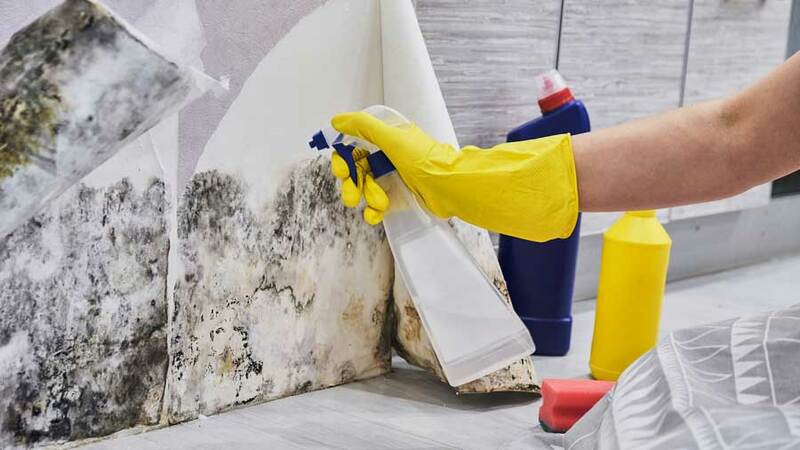 If you suspect mold is incubating within your home or business, contact us immediately to commence the mold restoration cleaning process with our team. We have every environmentally friendly chemical; we specialize in application services by kind to our planet and tough on mold. Our specialists can take care of any kind of mold, including black mold. We offer total and complete black mold removal and mold damage restoration. So if you suspect black mold is terrorizing your home or business, fear no more as our experts in black mold removal will guarantee you long lasting removal and protection from this nasty spore. No matter the size or type of mold, we have your home or business covered from beginning stages of inspection and testing to mold removal and mold damage restoration. At Master Clean, we strive to become Gillette’s new standard for cleaning services with our full-service black mold removal and mold damage restoration packages. No matter the size of your mold problem, our team at Master Clean is prepared and ready to tackle it.